#AskGleb Podcast 04: Why Every CG Artist Should Become a Media? 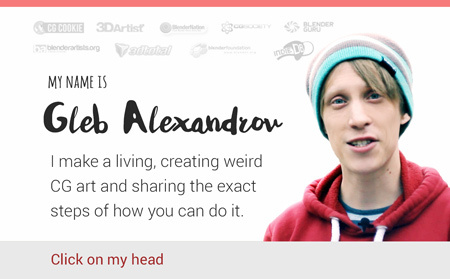 #AskGleb 04 – the fourth podcast from the Q&A series, devoted to computer graphics, art, coffee, Blender, productivity and whatever else with Gleb Alexandrov. In today’s world, creating the art… isn’t enough to become a better artist. Learning the software is not enough too. What you really need is to become a media. To show your personality to other people. Potential clients, if you are freelancer.